$2,359.99 each List: $4,364.00, You Save: $2,004.01! Fine Tuning Knob: located within easy reach, this knob can change the pitch slightly higher or lower to keep you perfectly in tune, and can also be used to extend the range of the drum to an octave either way. Maintained Tension: when the bowl is removed from the base, the tension still remains! Pitches can be changed with the fine tuning knob, essentially turning this drum into an updated version of a Baroque timpano. If it ain't Baroque, just pretend it is and nobody will know the difference. 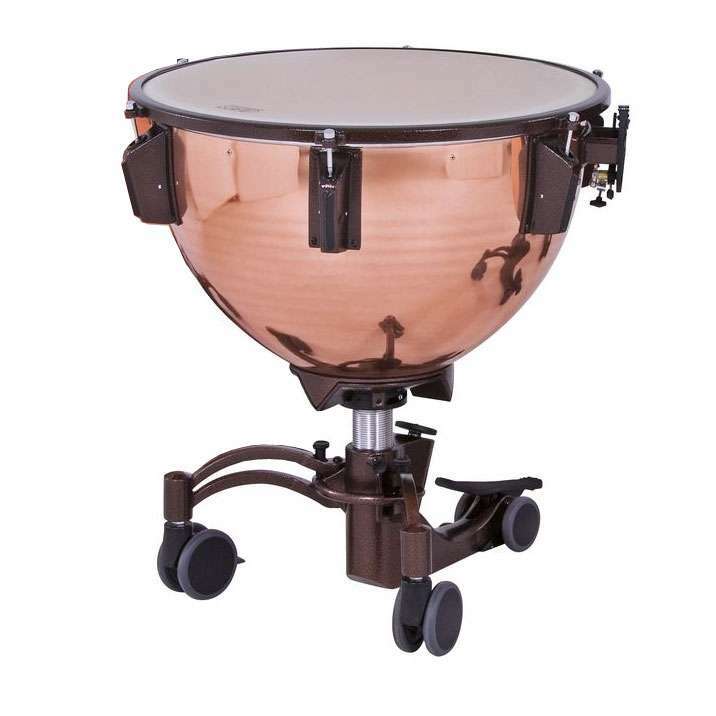 Polished Copper Bowls: copper resonates more freely than Fiberglass, providing a fuller sustain and longer sound.